Hey you, hope you are ready for the shape up challenge? If you are yet to make up your mind, don't be scared. You really don't have anything to lose but the excess fat disturbing you, LOL! I love competitions like this one, they bring out the best in me, what about you? *jumping and clapping* Wooohoooo!!! My blood is hot, even though i am not participating, i feel pumped. DO NOT starve thy self, i repeat, DO NOT starve thy self!! If you starve you wont lose much o, the fat will perch in one corner. There is a technique to fasting from food so as to achieve weight loss, i will share that one later. hehehe! Eat your heaviest meal in the morning and your lightest at night. Not the other way around biko. If you haven't cleansed before commencing, i suggest you take the first 3 to 7 days to do so, in order to achieve a maximum effect of weight loss. Have a diary where you document your daily activities. I mean your meals and the exercises you did. This will help you to make adjustments later and correct your mistakes. Drink as much water as you can through out. At least 3 liters or 8 glasses a day. I recommend 10 to 12 glasses a day, or 4 liters. If you are pregnant, do not attempt this challenge. My hand is not there oooo....heeeee! *pulling ears* wait for the baby to land before you get your body back. If you are nursing, take it easy, don't be tempted to over do it and do not detox while breast feeding. Workout real good. Whenever you get the chance put in AT LEAST 30 mins a day of exercise, you will get an added advantage. If you have to have a cheat meal, do that once a week, and eat whatever it is in small portions. Don't listen to negative talk, you are doing this for you, focus on the finish line and know that you are gifting yourself a healthy and beautiful life and body. Children's biscuits (Many of us are guilty of this one) Leave your children's biscuit and caprisone alone!!! Hehehe! These are the ones i can remember for now, i will update as time goes on, but these ones are major. if you can avoid them or eat very very little of them, then you will be fine. Don't forget to send in your pics if you are interested.Tomorrow night is the dead line for that. Some ladies have sent in theirs and i can feel the heat of competition already. Yess ooooo!!! All the best sweeties and God bless. Fina dear, basically go on fruits and veggies for 3 to 7 days. And loads of water. Avoid carbs. Hi Mrs Adebisi, yes you can add oil. But plssssss little o. For me, I dont think you need oil in ugwu when steaming. Iy comes out yummy. Add crayfish and pepper. Lol. Cheliz dear,I must commend u on this wonderful work u re doing,God bless u real gd.on the cleansing issue,do I eat ant kind of fruits? Eg banana? Thanks a lot dear. Amen to that. God bless u too luv. Yes any kind of fruit is fine but go easy on pineapples and bananas. All the best. Awww thanks Onyinye. Doing my best to help. Pls hang in there and stay focused ok, you can and will do this. It is well. Take care. Cheliz honey, gudmornin nd happy new month. Nne m, u are God sent, I hav been tryin to wrap my head around going carbs free for a week or two cos dats what my friend who happens to be ur friend too told me to do. Dnt worry, I will tell u who this person is later. Hi dearie. I added someone earlier, hope its you. Pls gist me who dis friend is lol. You are in the right place dear. We'll do this together by God's grace. Dont forget to send in your pics and weight. Talk to you soon dear. Thanks a lot. Hi Jay z. Welcome on board. Are you sure u weren't loading ur self with beans? And were u eating it mkstly at night? Reduce ir portions and eat as lunch instead then drink lots of water afterwards. Try and add fruits like water melon to ur diet to reduce bloating. For more info pls keep browsing the blog or send me a mail. Thanks dear. Yes Chelan, it was me. Thanks so much. Hello ma'am, I so love you, cos you r not a selfish person, you inspire me all of the time, am on the journey, I pray I achieve my goal, God bless u.
Hello Cheliz Ruby, I know it's probably too late to join the weight loss challenge but I am going to join in anyway. This is my birthday month and I am looking to lose at least 5kg this month! So, please I will keep up with the challenge and exercises and meal plans as you post them. If you don't mind, I will also send you my pictures with my current weight even though I may not be on the challenge proper - but for accountability sake please. Thanks for all the support and good work you are doing through your blog. God bless you. Mo'dele dear, sorry you didn't get to see the post on time to send in your pics. No problem, send your pics and your weight. But i must warn that 5kg in a month is much o, bring it down to 3kg so you don't get depressed if you don't reach that goal. Nothing wrong in setting the bar high though. You have your mind made up, so get up and go girl!! Thanks a lot dear. You want to lose 10kg in one week? Why the rush dear? That's way too for a week, lets be realistic dear, you need to bring that target down to 2kg a week or 3kg max. 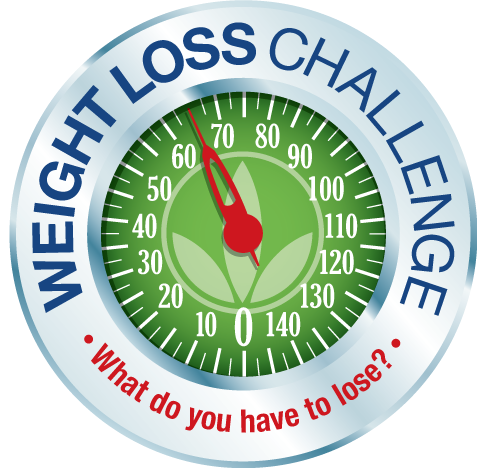 That is much more achievable and you have more chances of keeping the weight off that way. Please call me if you can so we can talk. Take care.